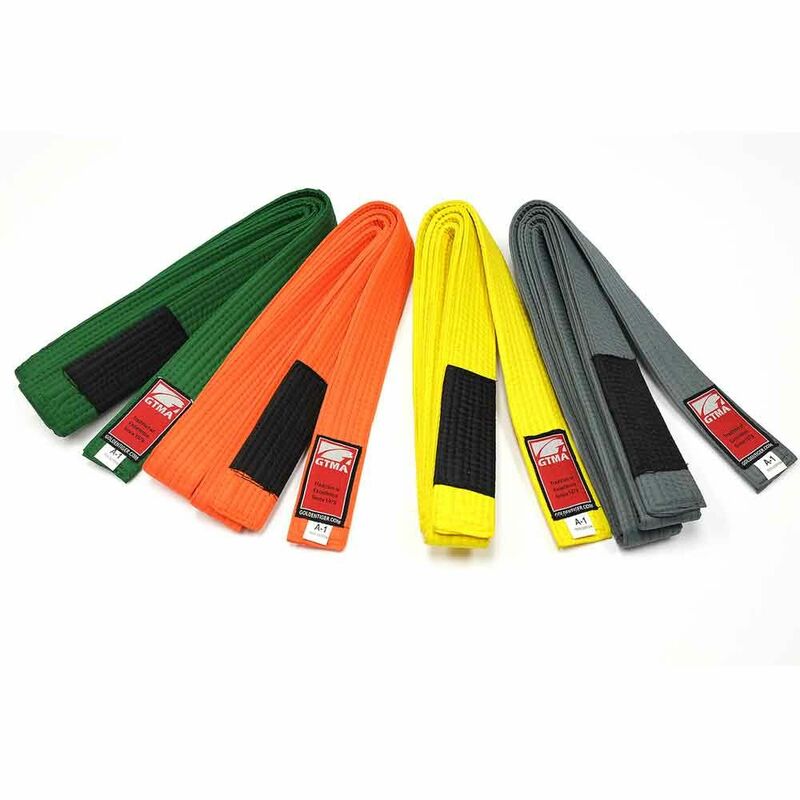 GTMA's BRAZILIAN JIU-JITSU BELTS are made especially for Jiu-jitsu. They are 1 7/8" wide belts with approximately 4" ~ 5" black fabric wrapped on one side. Made from 100% cotton and 8 rows of stitches for comfort, toughness and durability. * 1 7/8 inches wide. * 8 rows of stitching. * one end wrapped in 4 to 5 inches of black fabric.